One of the research projects I was working on this summer was trying to answer this question: Could online PLNs be valuable for all teachers? I’ve often heard teachers promote the use of social media based on their own personal experiences and not based on research. In answering this question, I wanted to see what the research showed as effective or not effective in online PLNs and the use of social media for teachers. Probably not surprising to teachers that frequently use social media was that teachers feel less isolated or lonely, develop a sense of camaraderie, and connect to valuable resources. One thing I found very interesting was the type of tool used had an impact on the effectiveness. The studies I found primarily examined Twitter, Facebook, and Edmodo. Of these, Twitter and Facebook had positive results for developing an effective online PLN, whereas Edmodo didn’t appear to be very effective. My paper is linked here so you can see the whole work. I still need to do some revisions to get it up to publication standards, but I welcome any feedback readers want to offer. Do you think online PLNs are valuable for all teachers? This week in my current class, Teacher Tech Integration and Professional Development, we were asked to make a visual representation of some knowledge or entry-level skills teachers need for technology integration. I decided to use Google Docs and Google Drawings then made a screencast explanation (embedded below). Ertmer, P. A. (1999). Addressing first-and second-order barriers to change: Strategies for technology integration. Educational Technology Research and Development, 47(4), 47-61. If you have an interest in the topic, I suggest you read the work of Peg Ertmer or some of the more recent work by Ertmer and Anne Ottenbreit-Leftwich. In a recent post, I asked the question “Can a Student Technology Team Help Build Teacher Self-Efficacy in Technology Use in the Classroom?”. Not surprisingly, I am not the only one asking that question. Education is a complex social system with many stakeholders. Therefore, for effective technology integration, we should consider all these stakeholders, including students (Su, 2009). In fact, Martinez (2009) points out that the only resource in abundance in schools is students. 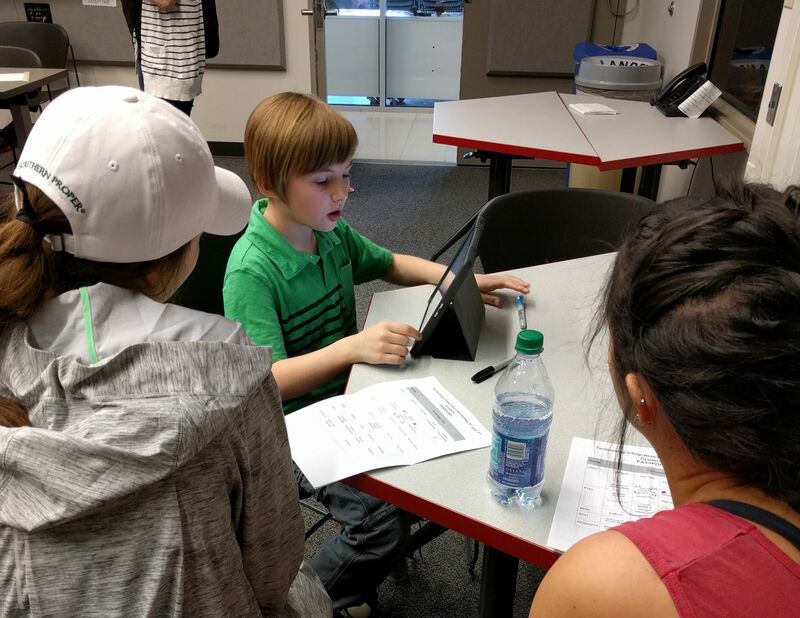 3rd Grader Kate teaches Indiana University preservice teachers on some uses of iPads in the classroom. In the HSDL Google+ Community, there are 101 schools listed across Indiana that have self-identified as having some sort of student technology team. The community serves as a good way for group leaders to collaborate and share with other group leaders. 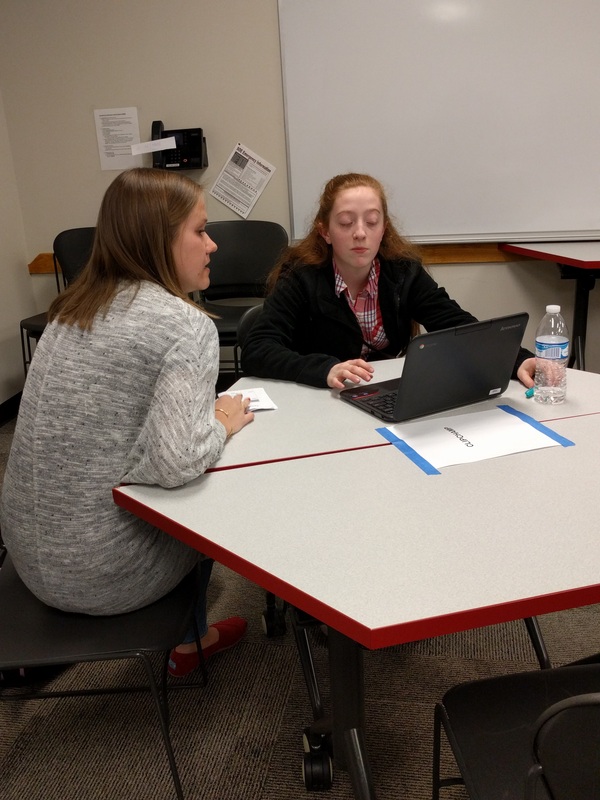 The HSDL also hosts a student-led conference each year for students to gain presenting skills as well as share new ideas to the community. 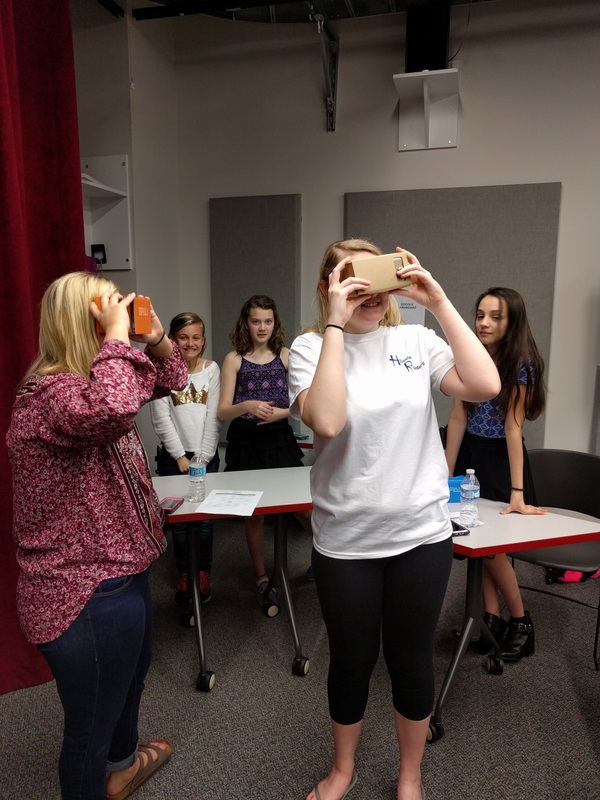 GenYES is another organization that finds student technology teams an effective model of professional development for technology integration. With the goal of developing students as leaders in technology knowledge and integration, GenYES has a modeled a successful program by training students to be mentors for teachers (Martinez, 2009). Their website states it very succinctly: “We believe that teams of well-prepared K-12 students are the key strategy for realizing meaningful technology integration.” (Generation YES, 2016). 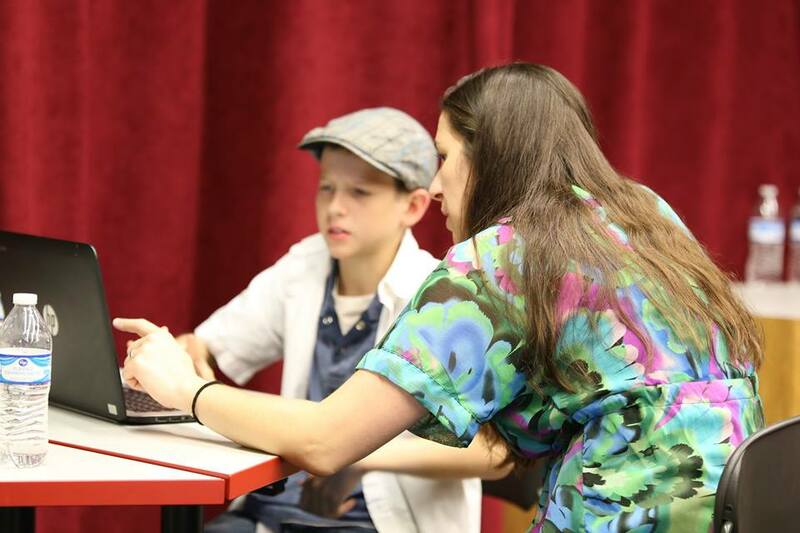 Examples of GenYES projects include having the GenYES student come into the classroom and help younger students create and edit movies or having a student create a website template for a teacher to use with students (Martinez, 2009). GenYes found, of the GenYES participants, 99% agreed that it was a good method to support teachers and 3 in 5 teachers stated that GenYES made integrating technology “more comfortable”. (Northwest Regional Educational Laboratory, 2010). In another study, Zhao, et al. (2006) found that the GenYES program produced several factors that enhance technology integration. They are: time to experiment, a focus on student learning, the building of social connections and learning communities, and localizing or personalizing professional development. Hew and Brush (2007) also found these elements as helpful for overcoming technology integration barriers. Schools are also using these technology teams as cost-effective technology repair services (Martinez, 2009). The perceived lack of technical support by teachers is a major barrier to technology integration (Gilakjani, 2013). These technology teams can alleviate the frustration caused by lack of technical support. I believe that well-managed student technology teams are a win-win for both staff and students. Staff gain inexpensive technical support and training while students grow in their leadership skills (Wan et al., 2010). Therefore, maybe a better question is, “What elements of a Student Technology Team successfully build self-efficacy in teachers?” The results of that could help mentor/leaders more effectively build their student technology team. What do you think those elements would be? Gilakjani, A. (2013). Factors contributing to teachers’ use of computer technology in the classroom. Universal Journal of Educational Research, 1(3), 262-267. Hew, K. F., & Brush, T. (2007). Integrating technology into K-12 teaching and learning: Current knowledge gaps and recommendations for future research.Educational Technology Research and Development, 55(3), 223-252. Su, B. (2009). Effective technology integration: Old topic, new thoughts. International Journal of Education and Development using Information and Communication Technology, 5(2), 161-171. Wan, T. Y., Ward, S. E., & Harper, D. (2010). The Power of Student Learning Through Leading. Principal Leadership, 10(6), 68-71. Zhao, Y., Frank, K. A., & Ellefson, N. C. (2006). Fostering meaningful teaching and learning with technology: Characteristics of effective professional development. Meaningful learning using technology: What educators need to know and do, 161-179. More resources from GenYES can be found here. Last summer, I read a book called “Every Guest is a Hero” by Adam Berger. The book is about how Disney theme parks build their attractions, park layouts, and many other details around making the guest the hero of the story. 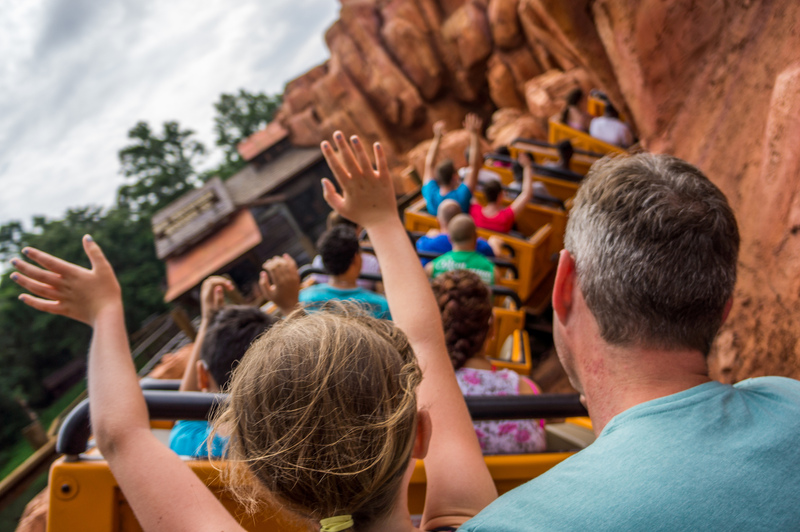 As you wait in line for Expedition Everest, for example, you learn the history of the fearsome Yeti in the Himalayas around the Disney created fictional town of Serka Zong and the adventure that awaits as you make your way to board the train. 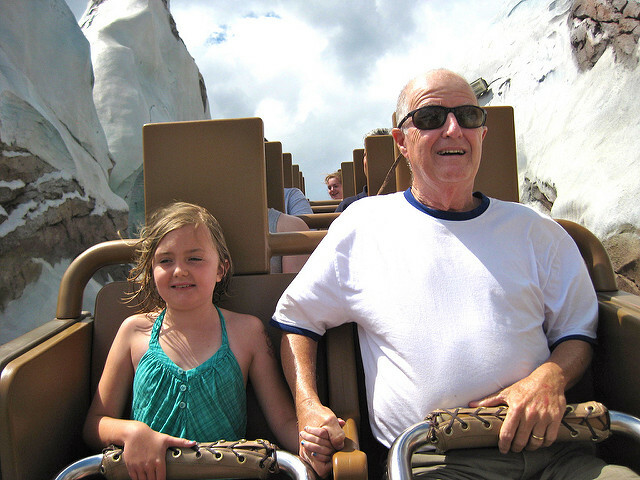 I won’t spoil the ride if you haven’t ridden it, but you do survive and return to regale the locals of stories about your encounter with Yeti! As I read this book, I began to wonder about ways that teachers could make their students the hero of their stories. Imagine how engaging a lesson could be if every student could work their way through it being the hero. Later this school year, I came across a blog post by Ramsey Musallam that details how he uses the Hero’s Journey to create lessons and an idea was sparked. 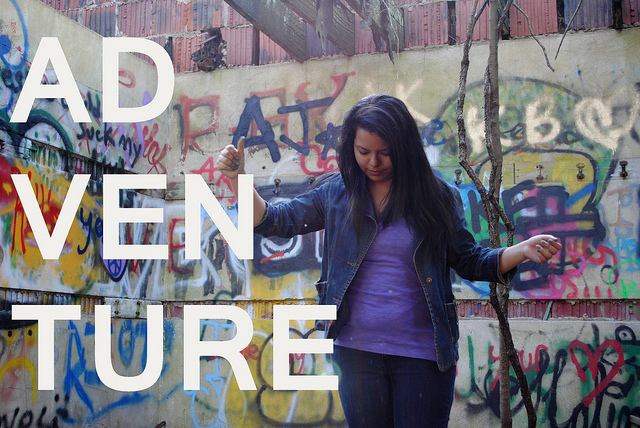 This summer, one of my projects is to create some lessons the use and refine this concept. If you are unfamiliar with the concept of the Hero’s Journey, it is a literary construct that says that most mythology and storytelling can be developed in stages. Those stages make up the hero’s journey. 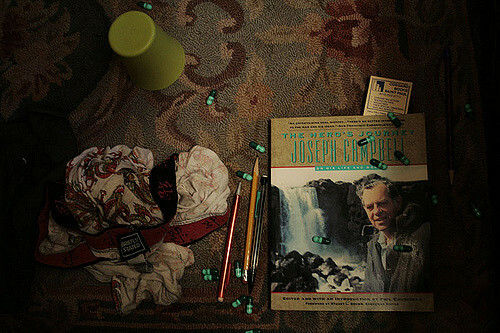 The most popular framework for the hero’s journey was developed by Joseph Campbell. The Campbellian model has 4 stages and different parts in each stage. The stages are Separation, Descent, Ordeal, and Return. Here is how I am envisioning the model as a lesson unit. This is the stage that begins with a Call to Adventure. For those who use inquiry, this could be your intro activity that leads to your driving question. Once the students are engaged in the “adventure” and begin asking the right questions, they move on to begin struggling with the question. This stage is followed by the Meeting with the Mentor stage. The students are encouraged to ask the teacher or find an expert on the topic to serve as a mentor and guide them on their journey. This could also be a video resource. As the students progress, the move along the Road of Trials as they make their way to the Supreme Ordeal. This is when they experiment with a skill or concept, try different solutions, collaborate with others to advance in their journey and ultimately come to the ordeal. The Supreme Ordeal is the final conclusion that is their culminating project. This is the major assessment. The demonstration of learning by solving whatever problem the content required. 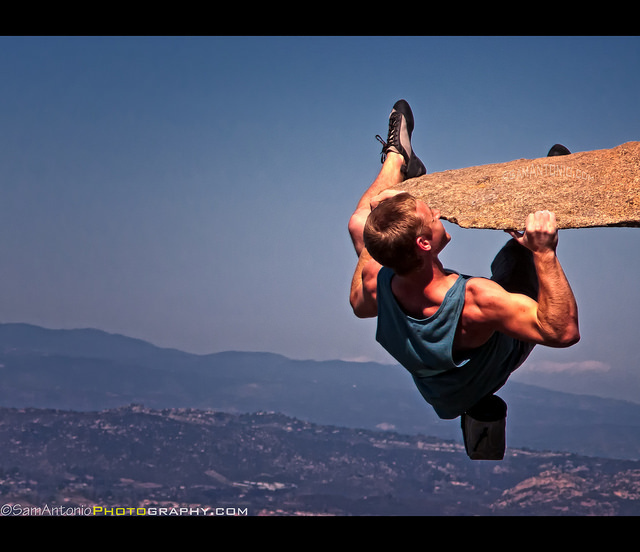 At the end of the ordeal, they get the Reward of completing the daunting task successfully and being the hero. This is a favorite stage of mine and often forgotten in lesson planning. The hero always Returns to the Ordinary World and bring backs tales of adventure. This stage is also sometimes referred to as Return with the Elixir. This would be when the students make a public display of their ordeal and success. They should be proud of their work and return to class with a hero’s welcome! As the summer progresses, I’m planning to develop specific lessons following this model. I’d love to hear your ideas and feedback. What lessons could you make your students the hero? 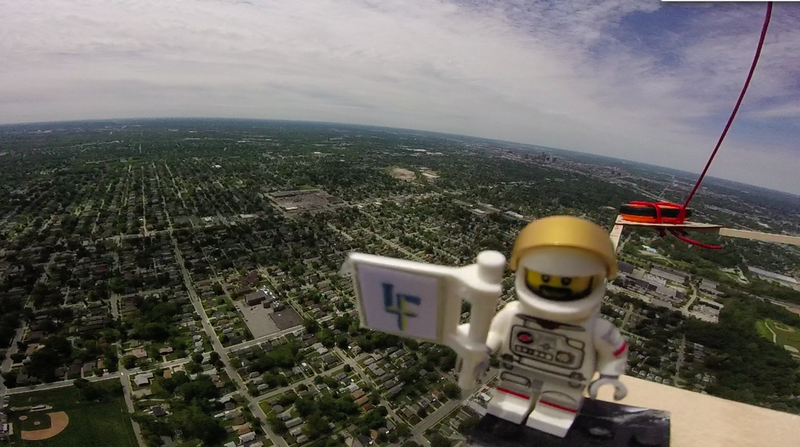 Since becoming a NASA Airborne Astronomy Ambassador, I really wanted to do a Near Space Balloon Launch. This past week, our 8th graders did it! I’ve been getting a lot of questions wanting more information, so I decided I’d blog about it. I got a lot of help from Jeff Peterson and Curt Schleibaum on how to make this happen. We ordered the 600 g Near Space Balloon Kit from High Altitude Science. 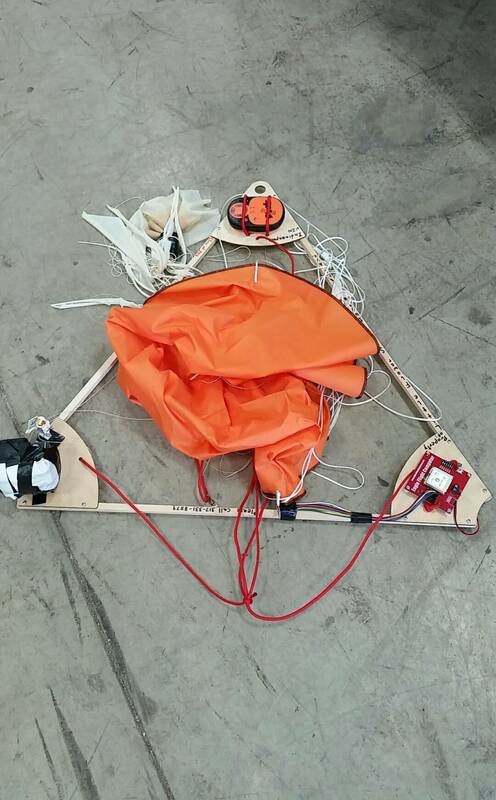 It came with a flight computer (very similar to an arduino board), a Spot GPS unit, a GoPro mount (no camera), a 600 g balloon, the tether and tubing for to fill the helium, a parachute, and the wooden frame to be assembled for the payload. We had to buy a GoPro Hero, (we chose to order an older model from Amazon to save us about $250), a 32gb sim card (for the camera), a 16gb sim card (for the flight computer), and the helium (about $120). All told, we spent in the neighborhood of $1000 (not including the case of beer we bought the firemen that helped us retrieve it!). First, we showed them Nat & Lo’s Project Loon video to get them excited about high altitude science. Then we Skyped with Matt Berry, an Operations Engineer with NASA working on the DC-8. Next, we put the students into groups assigning each a different part of the project. One group spent their time assembling the payload, learning how to use the flight computer, setting the camera and GPS, tying the parachute, and making sure we were structurally ready to fly (and under 4 lbs per FAA rules). I added an Astronaut Lego Minifigure that we affectionately named Marty McFly! Marty McFly and GPS in background. Our school is just to the left of the flag. Another group was responsible for understanding the necessary weather conditions needed to launch, including wind speed and cloud coverage, and then reading the weather forecast to determine our optimal launch dates. One group was in charge of researching all the requirements to launch. They determined our distance to the Indianapolis International Airport, as we are near a decent path and had some concerns about that. They also read charts and maps to determine our launch location in aeronautical terms and also determined our predicted landing location using this tool. They then had to file a NOTAM (Notice to Air Men) with the FAA so we could launch on the day we selected. And, the final group researched the helium requirements and called helium suppliers to find us the best price and service. 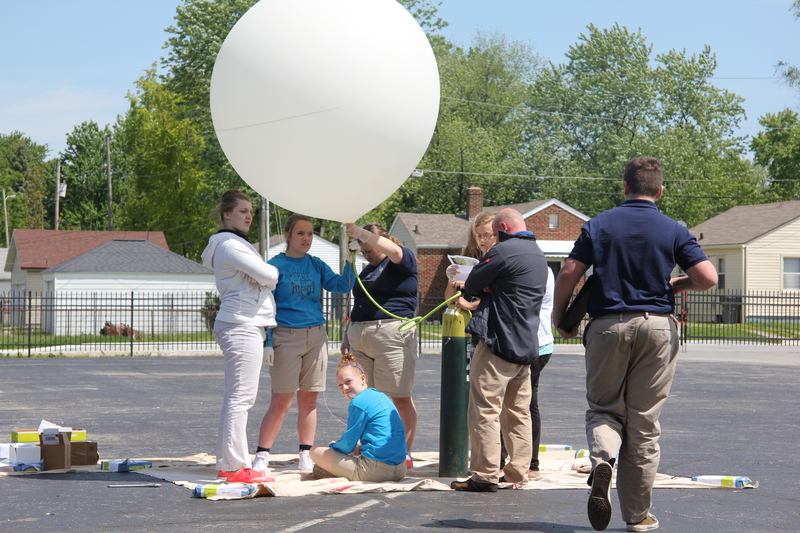 On the day of the launch, this group was responsible for filling the balloon and securing it to the payload properly. “First launch,” you ask? Well, one knot wasn’t secured properly on the line from the balloon to the payload. 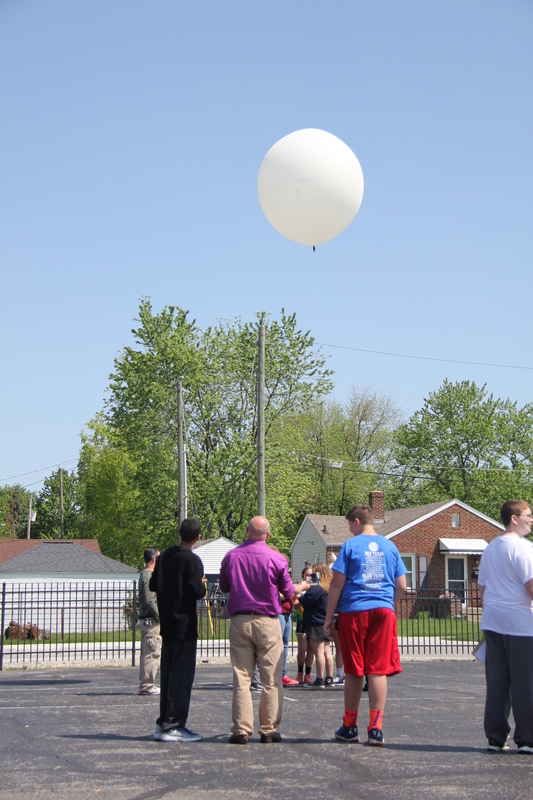 Therefore, once we got the balloon filled and untethered, it launched successfully. However, the payload wasn’t connected and thus we lost the balloon because we had no way of tracking it. The kids were very disappointed at first. However, we quickly reconvened and discussed our options. When they found out a new balloon could be ordered for $55, the students offered to buy it with their own money. The school paid for a new balloon and we ordered it the same day. Launch 2.0 is what we began calling it. Once the new balloon arrived, we immediately filed a new NOTAM and began final prep for a new launch. This time is was a success. Balloon AND Payload launched together! The balloon flies to a certain altitude somewhere in the neighborhood of 90,000 to 100,000 ft or more and then expands so much it bursts. The payload then returns to earth and the GPS tracker is used to locate it. Ours tracked all the way to Jeffersonville, Ohio, some 160 miles away. 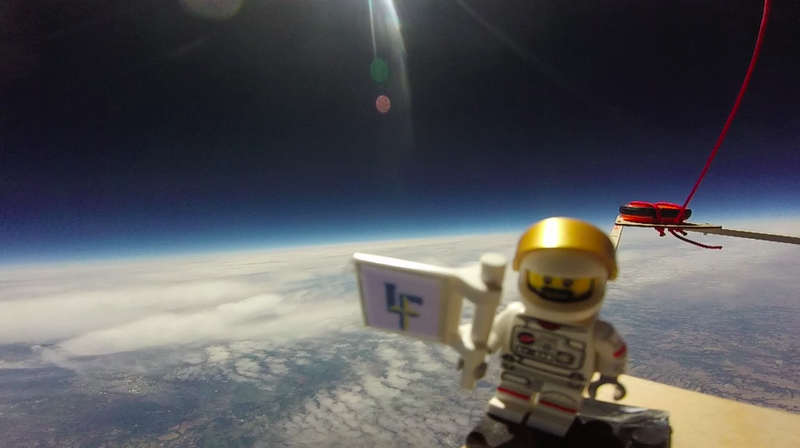 We did lose communication with it for about 2 hours while it was above 60,000 ft. Other teachers have told me their payload was only out of communication for about 45 minutes. Our Science Teacher drove the 2.5 hours to retrieve the payload and found it landed about 35 feet up in a tree. After talking with several people in the town trying to find someone with the equipment to help us, she had to leave without the payload, but did have a number to the local volunteer fire department. It turned out that one of the firemen was also a Science teacher at the local school and he agreed to help us get it. After 4 days and 3 nights hanging in a tree, the payload was retrieved and brought back fully intact, Marty McFly and all! We are still reviewing the flight computer data to determine how high it went and what wind speeds and temperatures it endured. I have placed the raw footage on YouTube (posted below). Our camera stopped recording after about an hour and half and the balloon had still not reached the bursting point. The battery still had some charge, so we aren’t sure why it stopped recording. We are speculating that it may have gotten too cold for the camera. UPDATE: Our balloon reached an altitude of 104,598 ft! Since this was our first launch, we kept the payload to its bare minimum as described in the High Altitude Science Manual. Next year, we plan to add more custom items to the payload. SparkFun has a lot of sensors and computer boards we can add to collect more data. We may add a second camera to capture a different perspectives or maybe even a 360 degree camera if we’re brave enough to risk losing it. Marty McFly at around 70,000 ft. In the end, our students had a great time doing this and learned a lot in the process. We can’t wait for our next launch!